Pinterest has recently became my new best friend. I am such a visual person and I love being able to save a picture that is linked to a resource I can use. One of the resources I saved was how to wrap large letters with yarn. This project looked very doable for this "Do It Yourself" person. After I was done with that project I had lots of yarn leftover. As a young girl I watch my mom crochet tons of different items. I thought to myself what the heck I should give crocheting a try. Since I have really never been very good at crocheting I thought I would do a little research on YouTube and find some video clips that would help me with this new project. 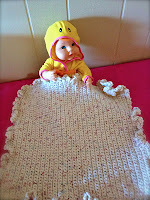 Within minutes of my research I found several videos that went step by step on how to do a simple chain pattern. What I loved the most about learning via a Youtube video is that I can pause and go back as many times as I needed. After a few fail attempts I was able to make a baby doll blanket for my Angel's baby doll she had gotten for her birthday. As a teacher and teaching technology skills and Ancient History I see many benefits of using YouTube in the classroom. Try doing "Advance Search" to help you find a tutorial or video clip. Save your new treasures in YouTube so you can find them again. You can have several "Playlists" in your channel. To help introduce the letter of the week I created this cute little story about Willy. He is a fun little wiggle worm that loves to wiggle his way around, he also loves watermelons. This little tale was made thanks to Little Bird Tales. I used Google Draw to illustrate this story but you can also use Little Bird Tales. 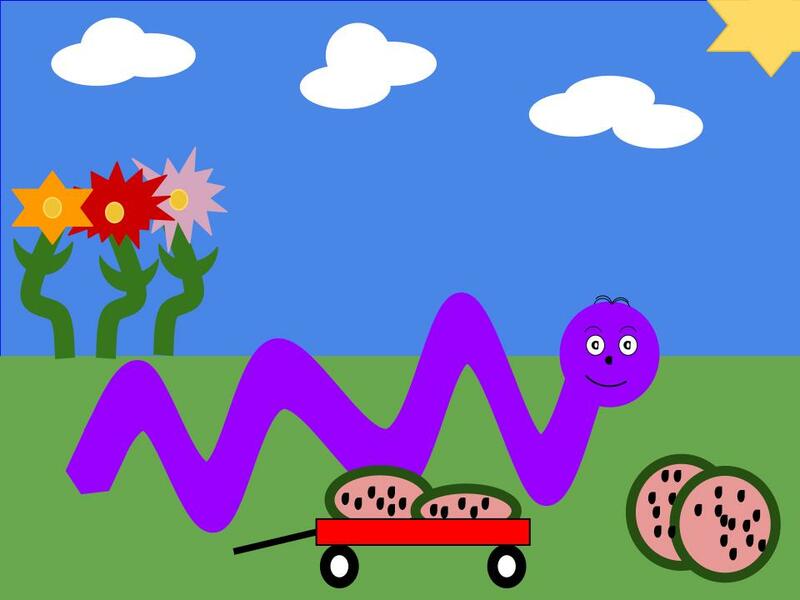 Click here to view Willy the Wiggle Worm. I would have students write their story before creating it in Little Bird Tales. Save and Save often. If you don't use will lose what you worked on. Don't forget to give your tale a title. If you don't you will have 50 Katie's Tales and will not know which tale is which. If recording their voices make sure they are in a quiet room. For the past few weeks I've been teaching my 8th grade computer apps class students how to use an online tool to collaborate, another online tool to create online flashcards, and yet another tool to tie it all together and create online quizzes. With Common Core in full swing it is important that students can apply what they are learning. Business today want their employees to be able to collaborate, communicate, gather data, and produce results. To meet this demand I created a unit that walks students through these steps and learn some technology words in the process. Step 1: Students research 10 words they think relate to technology in some format. Step 2: Students collaborate using an online cork board for example a.ka. Wallwisher/Padlet. During this time they are to communicate via email so that no technology words are used more than once. Step 3: Students then pick any 15 technology words from this online word wall and create online flashcards using Quizlet. Step 4: Students study other student created flashcards. Step 5: Students create a online quiz using Google Forms. Step 6: Students randomly take 10 different student created quizzes. Step 7: Students create a chart that best represents their results of their quiz. We are currently one the step of creating a chart that best represents their results. 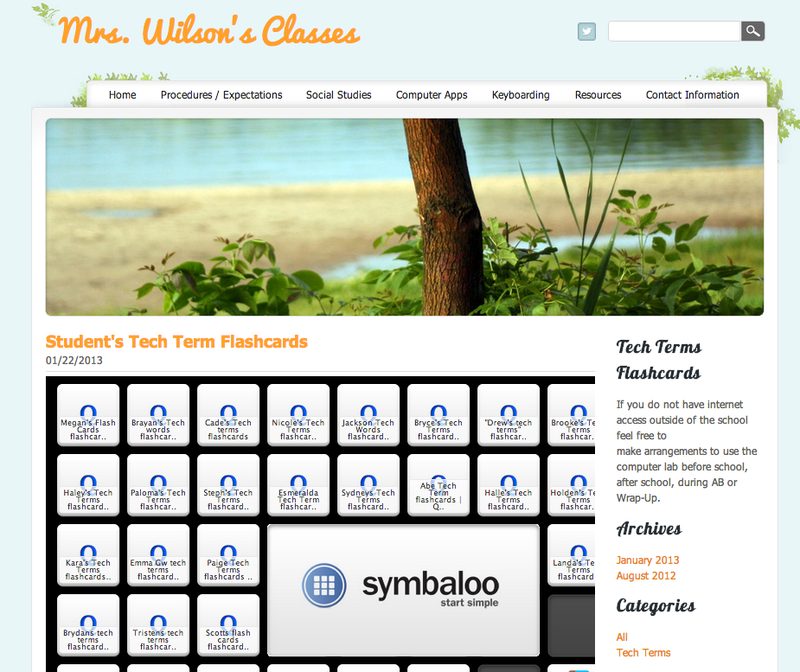 To help organize students' flashcards and quizzes I have created an Symbaloo board. 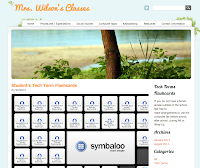 Using a Symbaloo board helps keep my students focused and on the task at hand. As a teacher professional development is always in high demand. This past school year I was introduced to SimpleK12 and have participated in over 130 webinars. I enjoy the format and the ability to interact with the presenter as well as the other attendees. If you answered YES to any of the above, join me inside the hottest education resource: SimpleK12’s Teacher LearningCommunity. I look forward to seeing you inside the Community! ==> Create a FREE Basic Membership Today. Once in the community please connect with me. I have been trying to flip my instruction around and had a bright idea. All year I have been giving my students a packet that is full of information about the topic we are studying. Instead of me lecturing what they needed to learn I was trying to guide them to find the most important information out of the packet. My bright idea was to create online games to help guide my students. You can only play the Jeopardy game or Who Wants to be a Millionaire games for so long before students start to get tired of them. So in search of some free tools I found this webtool Review Game Zone. Step 1: Create your FREE teacher account. Step 2: Add a "New Test". Step 3: Enter your questions. 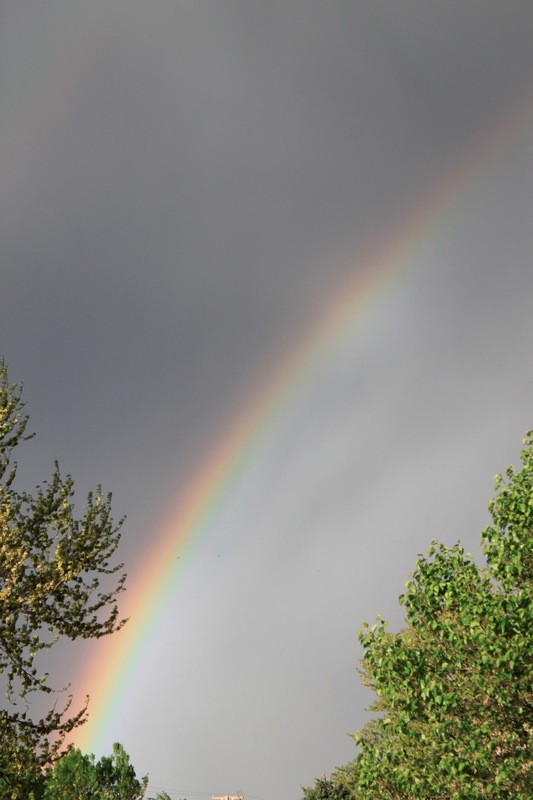 Step 4: Share with your students. Students can preview the questions in the game. Select from a wide variety of games which has the same questions embedded in them. Students can even take the online quiz and get instant feedback. If you search for Wilson in the teachers window you will find all of my games I have made (Katie Ann Wilson) or you can click on the games listed below. I have also created games via Super Teacher Tools. So God sent his son, the teacher.